I have barely heard of this Silesian city on the Oder river, yet its spirit seduces me right away. Wroclaw enchants me with a thin layer of snow coating the old city’s cobblestones. Walking around like a fascinated kid watching the sparkling lights, I’m running away from an alien weather that makes my bones tremble. Snow has not been made for Mediterranean people, I find myself shivering, a wet cat. 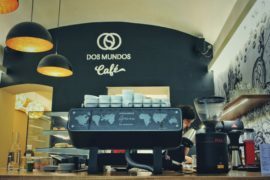 The logo of the next coffee shop catches my eyes instantly – Gniazdo – flashes at me through the foreign order of letters. Emerging like from behind the snow, the rows of neat coffee bean bags of Polish and Nordic roasters: from Coffee Proficiency and Czarny Descek to JB Kaffe and La Cabra. Few days later I am to discover that this lofty affair between Polish cafes and their Nordic partners is not just any summer love. While my gaze slides across the cafeteria, I meet a barista who accompanies me on my first visit. Her name is Paula and we talk about coffee and Poland, past and future. Espresso is a Nicaragua roaster by a local roaster, served in a traditional ratio of 1 to 2. But don’t let this simplicity fool you! 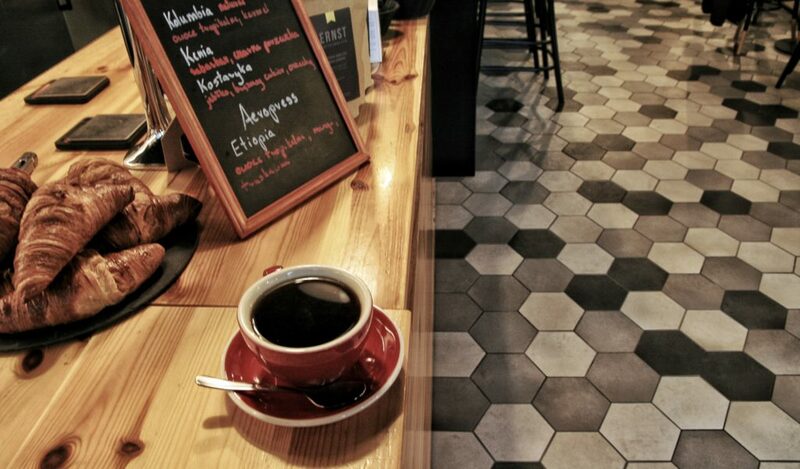 Their coffee is given all attention it deserves: it has a perfect balance, fleeing from any sour notes. I look at my coffee, dying slowly under my last sips. The next day, Cascara tea has already been waiting for me, together with a smile of another barista. I have always been rather sceptical about the long duration of the brewing time. But my scepticism seems to dissipate, as soon as I begin to drink one of the sweetest Cascaras I have ever tried. Taking the importance of first impressions, my trip to Poland has been spectacular. I keep staring at the snow, this time from the other side of the window, making myself comfortable in a cosy armchair. Almost like in a nest, which has probably inspired the owners to come up with the café’s name. Whether there is Cascara or espresso, whether today or tomorrow, Gniazdo is doing things right. Lucky Vratislavian people. 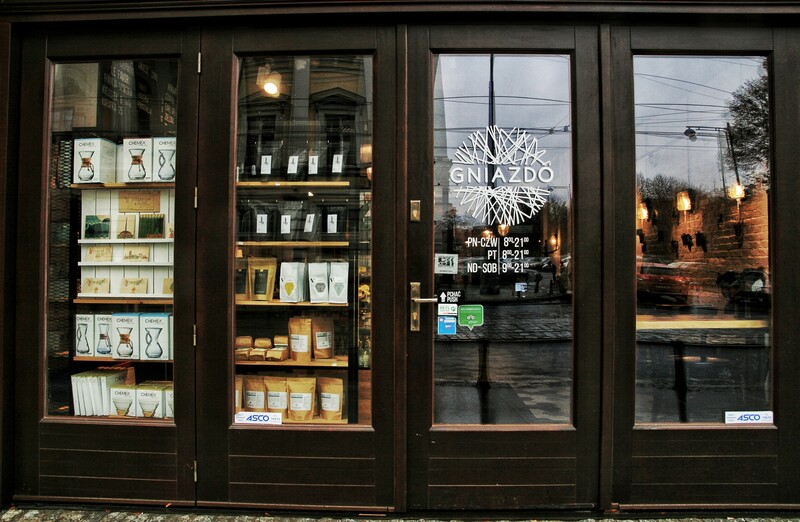 Gniazdo is a place which was founded with an intention to be specialty coffee shop. Hence why a team of skillful and experienced baristas was recruited, before Gniazdo even started to function. 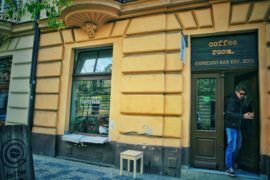 Someone was hired as a coffee consultant, one of the best known and respected people in Wroclaw’s specialty coffee industry. 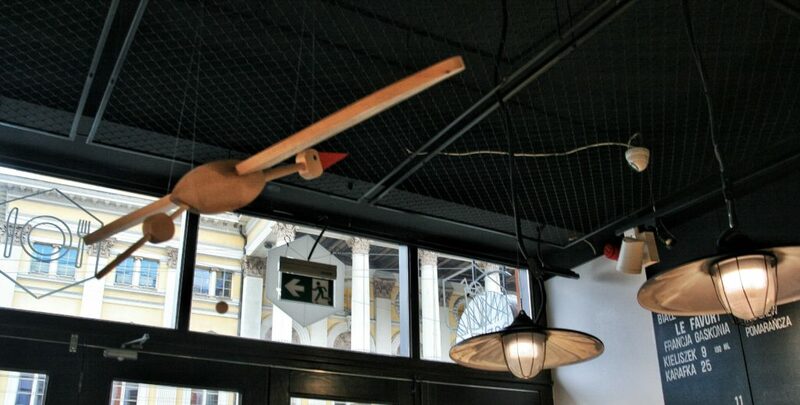 He was there to help the owner to get all the essential equipment and to design the brew bar. Since the very beginning we have had a lot of workshops to polish our skills. We love coffee and we want to make it as good as we can. The building where Gniazdo is placed has a long coffee stained history. In this building, in 1881, a famous café “Fahring” was opened and it used to be a meeting place for inhabitants of Wroclaw till 1935. 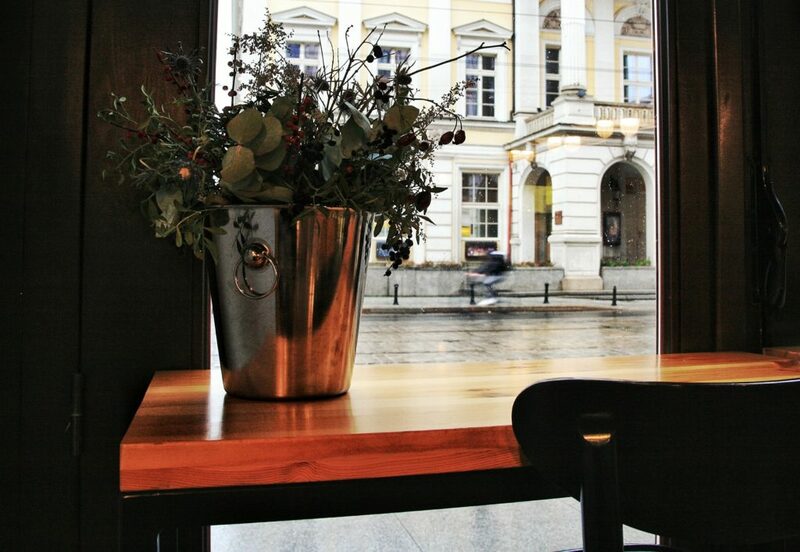 Today our coffee shop is in the neighbourhood of many museums, National Forum of Music, Wroclaw’s Opera, theaters and market square… We want to be in the center of all these busy and magnificent places. We want to be a meeting place, whether you are going with your date to an evening spectacle in Opera, or just want to meet with your friends before going shopping. Gniazdo means “a nest” and we want to create great atmosphere where you can drink some stunning coffee, eat a piece of delicious cake and feel welcomed. MEET THE BARISTA… PAULA H.
I was looking for a summer job when I was 17 and I wanted to work at a coffee shop. I thought it would be a relaxing and easy job. I was so wrong! 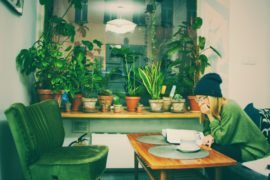 I kept working in cafés when I saw how that experience changed me as a person. I met many great people and became more social, despite being quite shy and introvert. HOW WAS YOUR FIRST EXPERIENCE AT GNIAZDO? That was everything I wanted. Gniazdo already had a team of truly passionate, well educated and experienced baristas who were happy to share their knowledge. WHAT IS GNIAZDO FOR YOU? Gniazdo is the place where I met many inspiring individuals. For me, people are always the most exciting part of this job. I would never be bored with classic, washed Yirgacheffes. Now, I’m really liking Ethiopia Konga from La Cabra brewed in V60. Guests: roasters from UK and Europe. TEA SELECTION: Mighty Leaf Tea Co.
COFFEE MACHINE: LaMarzocco Linea PB AV. GRINDERS: Fiorenzato EVO64 and Eureka Olympus 75E for Espresso. Mahlkonig Kenya for Filters.